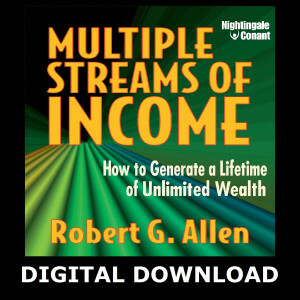 Robert Allen is one of the most influential investment advisors of all time.A graduate of Brigham Young University, Robert began making small investments in real estate early in life. 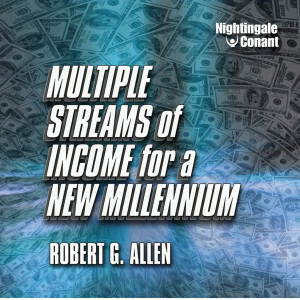 After achieving a multi-million dollar net-worth in just a few years, Robert went on to pen his colossal bestselling book, Nothing Down.He followed that success with three other bestselling books, as well as the audio programs The Road to Wealth, Multiple Streams of Income, and Multiple Streams of Income for the New Millennium from Nightingale-Conant. Throughout the 1980s, graduates of his popular nationwide seminars successfully applied his techniques in all 50 states and Canada. 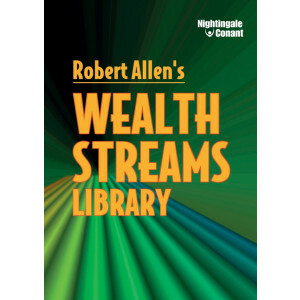 Today, there are thousands of millionaires who attribute their success to contact with Robert Allen.Robert has authored several best-selling personal finance books including: Multiple Streams of Income, Nothing Down, Cracking the Millionaire Code, The One-Minute Millionaire: The Enlightened Way to Wealth (co-authored with Mark Victor Hansen) and Cash in a Flash: Fast Money in Slow Times (also co-authored with Mark Victor Hansen).Robert conducts a series of investment and personal development seminars through his company, Enlightened Wealth Institute. A popular talk-show guest, Robert Allen has appeared on hundreds of programs, including "Good Morning America", "Your World with Neil Cavuto" and "Larry King Live." He has also been featured in the Wall Street Journal, Newsweek, Barron's, Money Magazine, and Reader's Digest.